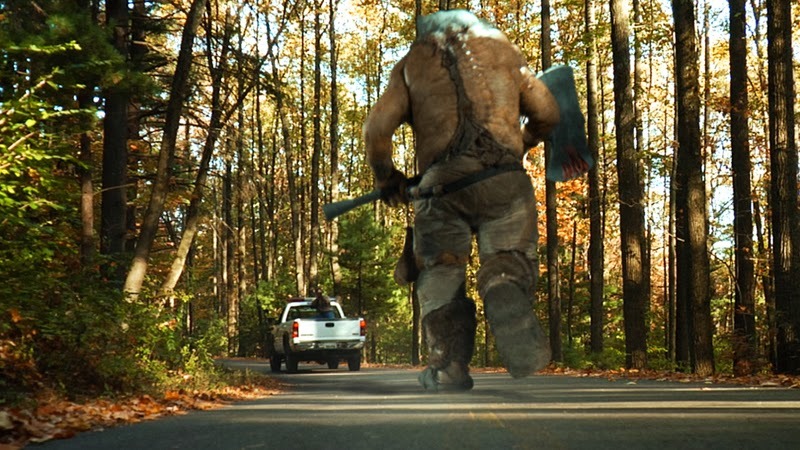 The Axe Giant gives chase. 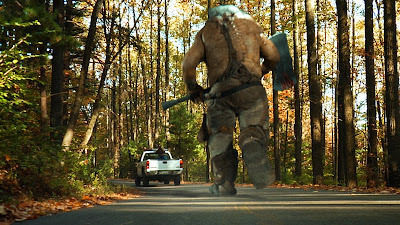 The terrifying spin on the classic tall tale was shot on location at Mohican State Forest and Park, Loudonville, Ohio, Malabar Farm State Park, Lucas, Ohio, and Pleasant Hill Dam in Ashland, Ohio. Part of the film was shot in and around Onaway, Mich., including actor Tim Lovelace’s home. If you’re keen on checking out the film, catch it now on Netflix streaming or set your DVR for the Syfy Channel on Nov. 8. If you’re in Saskatchewan, Canada, anytime between Oct. 31 and Nov. 3, you can see it at the Regina Public Library. It's also available via iTunes, Amazon, Family Video and Blockbuster. Jeff Miller: Taking you to an unknown place or upsetting the balance of things. Jeff Miller: The original Halloween and Friday the 13th were scary when I saw them as a kid. More recently, Sinster was one of the scariest and creepiest movies I'd seen in awhile. Jeff Miller: John Carpenter. Also, Wes Craven. Jeff Miller: It gets the adrenaline going. It's a rush. It gives you an excuse to pull your girlfriend close. Jeff Miller: Pick one. Make 'em zombies.